“I have broken my own unwritten rule of attempting to post something uplifting and refreshing on Sundays so that we can wash out our minds and re-energize our souls before launching into another week of attempting to protect the horses from the Dark Side. But due to the disgusting attempt by a few to destroy the holidays of many we stayed focused on a small gathering of fringe radicals in an effort to shine the light on their agenda of lies and deceit, as luck would have it, they did a pretty good job of destroying themselves on their own. Their demise was stunning. But before we share with you the return of a request I would like to remind you that there are advocates out suffering in the cold along with the horses and animals and they need our help and support. Jerry Finch is still struggling to stop the suffering of 100s of animals in the frigid Montana Mountains while Laura Leigh keeps her vigil active in an effort to protect the wild ones while the BLM is stepping up their wild horse eradication at an alarming rate. Please do what you can to make a difference and support our people in the field. Now, it has come to us as a special request from a great number of friends and fans on Facebook to bring back a little piece that I included, here, several months ago…I may be a few days late in keeping my promise but often it is better late than never. Keep the faith.” R.T. I found the question to be of great interest as both myself and my good friend Jerry Finch, President of Habitat for Horses, have been pondering this same issue for many years. Jerry and I have been in the horse rescue business for over a decade and we often wondered, as we looked around our ranks, where are all the guys? Now my intent is not to insult nor do I wish to stereotype but if you will indulge me I would like to offer my observations from well over a half a century of living with and around my own gender. If there are any gentlemen out there who might recognize themselves in these words take heart as you may be able to make a significant shift that could reap you ample rewards in your current and future relationships be they equine in nature or with human females, they all subscribe to the same forms of acknowledgment. Overall, and this is huge, the bulk of all men are insecure…full stop. That’s why we speak loud, push things around, believe that size matters, play with balls and call it a sport, start wars and subjugate women and animals. Ya can’t deny that boys. Men like things that they can control such as cars (just point it to where you want it to go and it goes), boats, aircraft, guns, tools, dogs and all things that bend quickly and directly to the male whim. Men cannot nor ever will be able to adequately command or control cats, horses and/or women…ain’t gonna happen so the result is, often times, abuse and neglect. Even though I claim no formal education in psychiatry it doesn’t take more than a high school education and an in tune heart to figure that one out. The male insecurity is amplified when the woman in his life falls in love with a horse and here is where real sparks can begin to fly. Being inherently insecure the male is jealous of the fact that the human female he desires is sharing and spending love, time and attention on the horse that should be spent on him. He feels that she must not really have the care and concern for him that he wants or needs if she can show so much affection to another creature while he only stands in the wings. This insecurity is what has driven many equine related relationships into divorce court, we have all seen it a dozen times over. There is also the Freudian sexual thing all wrapped up into that mess but that is more than we can go into, here. Again, it goes back to the bigger is better syndrome and the size thing. Now men who love women who love horses have a couple of things in their saddle bags that their brothers do not; they are comfortable in their own skins and secure with their sexuality, hands down. If the woman of a horsemen loves a horse the man sees that women with an expanded heart and a depth of feeling that warms his insides. Looking out across the pasture and seeing my wife hugging on her horse lights me up because she cares so much about something so special and has room in her heart for not only me but other sentient creatures it just plain turns me on, it’s that simple. Women who love animals are special spirits as they have the unique ability to carry their compassion outside the realm of human circles and can spread sunshine to all the other travelers on this spaceship we call Earth. 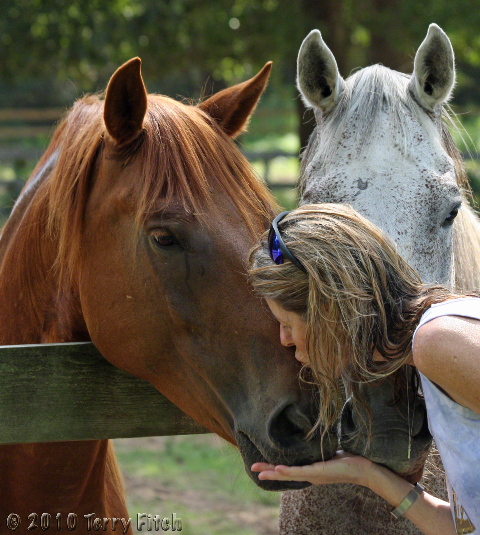 And women who love horses are truly exceptional in the breadth, depth and conviction of their love as they not only have taken the leap from human ties but have bonded and partnered with a creature that is many times larger than her physical being. Horsewomen have changed the face of the Equestrian world over the last 40 or so years. The days of using manly terms like “broke” have been replaced with gentled, partnered or bonded. There are a few guys out there working with horses but they have become smart enough to develop and promote like techniques knowing that their largest audience is the compassionate side of the human race. But bullies be forewarned; all of the love and compassion that a woman shows a horse can quickly be turned into the hottest and most tenacious fire that you ever hope to see if you should be guilty of harming any equines within her realm of influence. This is something that abusers have known for a long time as you just do not want to cross a woman over being abusive to a horse and this is also a lesson that the BLM is learning at the very time of this writing. The most honest, sincere, committed and knowledgeable equine advocates on this planet are women; we accompanying males pale in comparison. There is something almost magical and supernatural about the ambiance of the women who are dedicated to the cause and commitment to ensuring the health, safety and welfare of our American horse be they wild or domestic. For an enlightened male this is a tremendous blessing but for the slow to learn, it could spell their demise. Maybe it’s genetically driven guilt for the sins that my brothers have rained down upon woman and horse alike or perhaps it’s a misplaced chromosome that bends me to their way of thinking but regardless of the subliminal driver there is one thing for certain; if there is ever any hope of putting ourselves back in touch with the planet around us, and the other inhabitants of this world, it will not be the males of our species but the female who will save us from our own eminent self-destruction. For within the spirit of the woman resides not only the hope for our future but the heart and the soul of the entire human race. I am beyond pleased and proud to stand amongst the thousands of women who have made the commitment to protect the most benevolent of all animals on this planet. I respectfully take off my hat and thank you for allowing me to share your grace; all of you special souls are my most heartfelt hero’s. I love to say to all our great woman volunteers, THE REAL MEN OF THE WORLD ARE THE WOMAN. Come blizzards, freezing cold, rain and heat the woman volunteers and the young girls are here helping feed, muck, and de-ice buckets. Our rescues are cared for, groomed, and trained by the girls. Nothing makes me happier then to see our girls that otherwise may not be able to afford a horse or riding lessons work with our rescues and go to horse shows and WIN!!! It is as if the rescues know they have been given a new lease on life and try their best to please their young riders. Yes I’m outnumbered by the girls 100 to one and so I remind them often about the real men of the world. Men like us Mr. Fitch are the lucky ones, aren’t we to be part of it all? If only we can convince the tough guys that round up our Mustangs they’re not so tough. That was so beautifully written. Thank goodness there are guys like you out there. That gives me hope. All I can say is Terry is one lucky woman to be married to such an intelligent and sensitive man as you are, R.T. Every man should read this. What is ever going to get men in general to change ? Why are they so stupid or are they just selfish? Did God make them that way or what? leaves me speechless…..except to say…gratitude to you and all the men that stand with us…. What a great way to start my day! This was beautifully written & should be read by all men. I am going to forward it to my husband……he has his own horse, but is no where near as obsessed as I am! When the going gets tough or money is tight & we have to locate & buy hay in the middle of a blizzard, he suggests selling the horses, but no sooner do the words come out of his mouth, he’s out at the barn loving on the boys! He knows my desire to finish the work on our small farm & take in rescued horses or at least foster those that have no homes and he’s all for it. I’m truly grateful for him and our partnership in planning to help those that we can. There’s nothing like having your life partner share in your passion in life…….only one glitch: I’m the only mare on this farm! Thank you my dear Hubby, and thank you, RT & Terry for all you do! As I guy I just have to agree. Sorry bro’s, but there is a bunch of truth in those words. Granted guys seem to carry things overboard but, we as humans ( both sexes) don’t do a lot of good for the other inhabitants of our planet. Thankfully there are exceptions but if we are ever to win these battles for sane manage of wild places and things it will be the woman who carry the battle on their shoulders. Thanks for taking the time to write this article and to share your thoughts–marvelous. 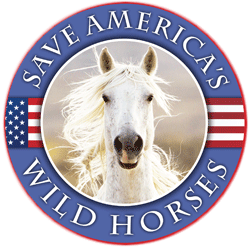 I have long been a passionate advocate of protest against what the BLM and their sickening policies and hired contractors are doing that is effectively destroying what is left of OUR wild horse herds yet I only recently came across Straight from the Horse’s Heart and have been well impressed. One thing I was struck by though as I read through dozens of comments here and other similar sites, and added my own two bits here and there, was that they were nearly all submitted by the gals. I had to wonder where are all the men (?) that I hope feel as strongly as I do about these amazing animals and are as disgusted by the treatment they are too often receiving? Just a couple of days ago I asked a close friend what she thought the reason for that might be and her assessment was quite similar to what has been written above adding that even some men who feel as I do might consider it too sentimental or even a weakness to show such committed passion for animals. It just isn’t the “tough” thing to do. If that is so, then I have to say that is a very skewed interpretation of what real toughness means. We, meaning the men, must stand up with these courageous women and let our voices be heard or we will most assuredly be witness to the final demise of the these most unique, irreplaceable symbols of American freedom and at the rate the BLM is proceeding, that demise is not far off in some nebulous future. It is here and now as the genetic viability and reproduction capabilities of the herds are being steadily and systematically destroyed. The bureaucrats and contractors engaging in these egregious acts MUST be stopped in their tracks now or it will be too late to ever reverse what they have done. The only legal way they will be stopped is if enough people can be made aware of what they are doing along with the outright cruelty of the methods being employed and will make the effort to stand up and tell the perpetrators to stop what they are doing and convince their elected representatives to take immediate action to shut down this particular operation by this out-of-control agency. I can’t say I have much faith that continuing the current pattern of more or less passive protest and resistance, including venting to the choir, is going to be effective soon enough to save the remnants of the herds that are still running free. With some few exceptions, our voices in the wilderness have not been able to even slow them down very significantly. They have their agenda, they do not really care what we think or want and they already know what they are doing is wrong or they wouldn’t be so adamant about keeping observers from exposing what they are doing. It is all about money for them so congress must cut off their funding and stop allowing them to hand out multimillion dollar deals to favored contractors without going through the legitimate bid process supposedly required for major government expenditures. Also tied directly into all this is the BLM program of predator eradication then using the lack of natural predators as a “reason” for having to remove of more horses. That also goes for kow-towing to ranching and mining interests who want the land that was explicitly set aside in the 1971 Wild Horse and Burro Protection Act that has been so ignored and violated by the BLM bureaucrats from the top down for decades. AMEN. THAN YOU R.T FOR SUCH AN EXCELLENT STORY THAT SHOULD BE READ BY EVERY MAN. It is interesting that most animal advocates for all species are women. That has been so since the beginning when the American Humane Society was first established to protect women, children and animals. Those three groups have been traditionally marginalized by western culture. However, it is not the case there are no men involved in animal welfare. Look at the bikers committed to stopping animal abuse and lets not forget ex-Senator Ben lighthorse Campbell who was instrumental in assigning December 13 th the day of the horse. By the way I think Wallis and others should read the entire bill as it acknowledges our country’s debt to the horse. It also stands as a piece of federal legislation that in fact distinguishes horses from other animals. FIERCE MOTHER INSTINCT—that is the driving force. Even the biggest, toughest man was brought into this world and nurtured by a WOMAN. R. T. what a beautifully written piece of information. Terry is truly a lucky lady. I have to agree with your whole article. You never see a man kiss a horse on the nose. At least I have never seen it. 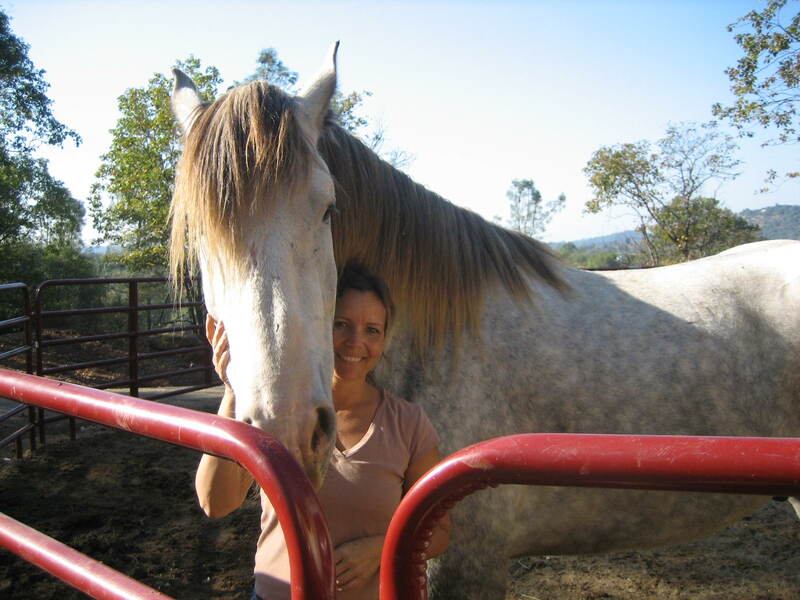 I have volunteered at a sanctuary in Ventura County and the main man caring for the horses there is knowledgeable in horses but at every turn he tries to dissuade me from kissing the horses on the noses. I have horses attempt to bite, but I’m undeterred. One who always attempted to do so is now one who knows if he is good, he will get a treat. They want love but in so many cases, have been treated badly and I know this was done by a man. WHo else would have the strength to use a tail to flip a horse as is done in Mexico. Another sanctuary in Perris where I help out has a beautiful chestnut Arabian that was a Charro horse. Now instead of the traditional beautiful lifts of the Arabian tail, it is now broken and hangs to the side. This was done by a Mexican using the Charro method. THis disgusts me. Where are the kicks in flipping a horse using their tail not to mention other treatments that they do. There are many Mexican gentlemen that are good with horses, but they will never have the caring and love of a woman. That said , “Girls, lets win this fight for all our horses. ” I don’t have the money but if I did, there would be no horse that didn’t have a home with me and the love that accompanies that home. Any of you guys that want to join us, like the beautiful comments above from R.T. and the other gentlemen, we would love to have you join us. But, make sure it is genuine. Because, we gals can see right thru you if it is put on. Again, R.T. God Bless you and Terry and all who helps to save these horses. I would love to be in a position to do the same. 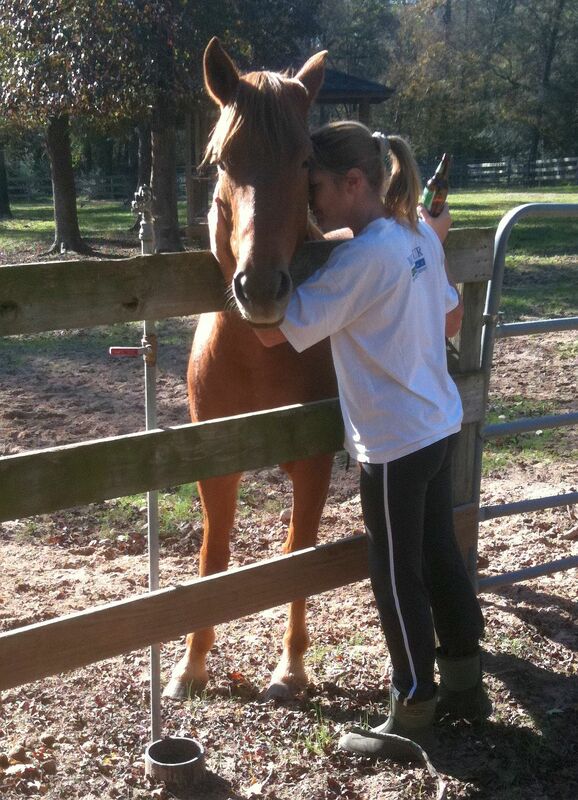 My husband, son and I all share the love of animals especially the horses. It is a very special bond that binds us together. Our one horse and one donkey gets way more lovin than they require! Thanks RT and Terry for all you do!! Owning a mustang and loving horses I find it hard to stomach any abuse or the whole slaughter thing. I was watching a news bit about horse slaughter and they showed a clip of a beautiful young looking grey getting the deed, done, they missed and had to shoot (or whatever the tool was) 3 more times to finish this horse off. I looked away as soon as I saw the horse and before they raised the tool. I looked for the remote so I could press the mute, power or change the channel, anything so I wouldn’t have to witness this thing. I couldn’t find it in time and had to listen to the sounds. It felt like someone was killing my sister, brother, aunt, uncle mom or dad. It hurt, it caused me physical pain. One morning I awoke to the sounds in my early am dream. It haunts me. My horses are all mares and they ARE my sisters. We indeed need to get this all stopped. I will sign petitions but the long run solution is to quit looking at animals as things, and Other. We need to teach our children the old ways, that animals are our family. All things are indeed interconnected and we need to continue teaching this to children. They will be the ones to stop this fully. I would love to see it end in my generation, it breaks my heart to think that it won’t stop now, but I sadly don’t see it happening. Especially when people elect officials that have obvious agendas to gain financially from the promotion of horse slaughter and or forcibly removing and breaking up family units of Mustangs. It’s all just wrong. Can’t top this one R.T.
Just one quick question ya got any brothers who are single and available?? Aptly put! Wonderfully written. As a woman, I humbly thank you! Excellent choice for a reprint, this one’s a favorite. 🙂 Thanks, as always! To quote my dad: Until you are better paid, RT, THANK YOU so much for this piece! Blessed Be! Beautifully written RT, thank you! … sent this link to one of my WONDERFUL son in laws who has a woman who loves horses and highlighted this part “men who love women who love horses” … he is great and although kinda new to horses he supports my daughter’s love of horses in every way and has even spent two days out in Nevada driving the family to see “our wild ones” with HIS MOTHER IN LAW IN THE BACK SEAT! Can’t ask for much more than that! Thank you Mark! thank you so much for your honesty . . . you nailed it!